This 9mm cartridge from Blazer’s Brass line of ammunition features a 124 grain projectile. 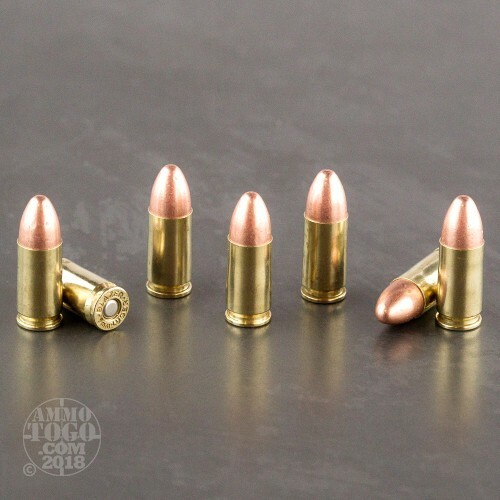 The bullet’s full metal jacket conveys several benefits to its performance, but what makes this round a standout is its protected base. Because propellant gasses can’t evaporate the lead in this bullet’s core during ignition, you can enjoy a healthier breathing environment while firing it. If you train a lot or spend a healthy chunk of time in an indoor range, your lungs will appreciate you taking that extra step for them. 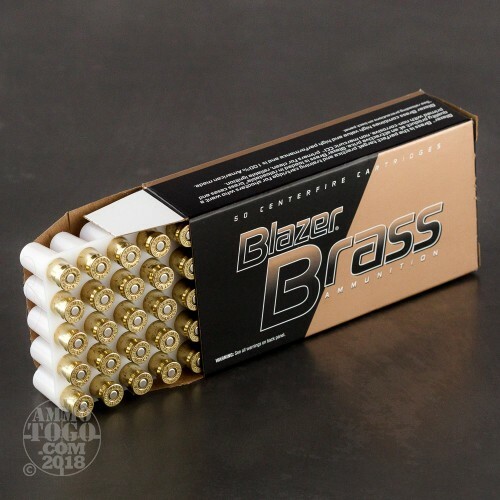 Blazer’s usual aluminum casing offers a lot of advantages, and we’re a big fan of it, but what aluminum will never be able to do is provide you with value at a reloading bench. 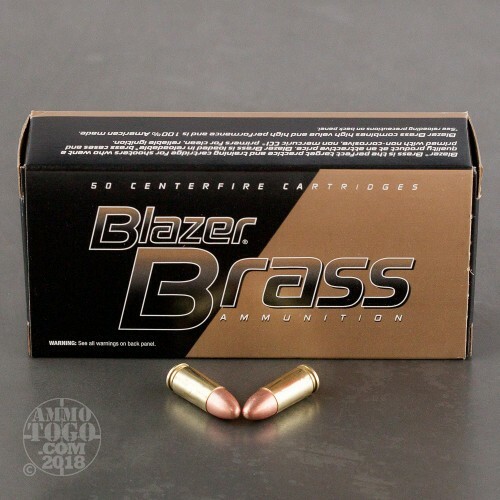 A Brass round features (you guessed it) a brass casing, so if you’re adamant about reloading every round you invest in then you’ll appreciate how Blazer has got your interests in mind. This round’s CCI primer will make the first time you fire this round a sure thing, and their propellant is clean burning to keep your pistol’s action nice for longer in between uncapping the Hoppe’s. Sorry, but you show a list of weapons that are very costly I have Highpoint 9mm in pistol and rifle.. Seen many comments about how many people think is crap, I am here to say NO it is not! Great product, love the way it shoots. Good price and fast shipping. I have used this ammo for years for target shooting to hunting bore with the heavier 124 and 147 grain ammo. It delivers what it promises and if you, like most of us are budget constrained this is the best you will find. 100℅ satisfied with every round. The owner certainly knows how to run a business. Customer service is wonderful. I have never been disappointed. An order is quickly delivered and the contents are correct. I have found cheaper ammo on the Internet but I always return here because of the quick delivery and selection of ammo. In my opinion, delivery by "Ammo to go" is as good or better than Amazon. I have ordered several 1000s of rounds without one problem. Wow - shipped super fast...a truly pain free purchase - I will be back. Thanks! Great job ,keep it up ! Will buy more . Fed great in my PX4, no misfires etc. Will be buying more, burn thru 2_400 each range trip, twice monthly. 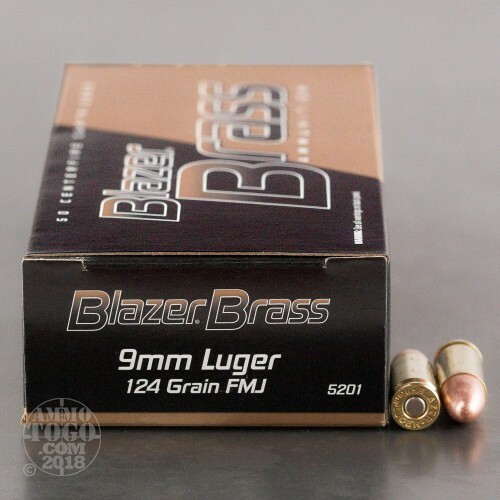 Great customer service and excellent ammo. No issues with it feeding or ejection issues. Will definitely be ordering more from here. Used for the last year & shoot about 450 rounds per week, sometimes around 1,000. Used in Sig P226, Glock, Zev/Glock, Sig P923, M9 Beretta, and M&P Smith & Wesson Performance Shop w/ flutted barrel. Worked well in all but the M&P pistol, where I got an occasional ejection or load problem because brand new and tolerances so close- at least that was what I was told by a guy who should know. Think you will enjoy the ammo. Top notch product and customer service. ATG even called me personally to confirm a slightly confusing part of the order. Totally professional and highly recommended. ATG has my confidence and my next order! Keep up the good work!